US retail sales were better than expected, pessimistic German manufacturing was worse than expected, US bond yields slightly bounced from early lows during the trading day. China's Q1 growth surpassed expectation, US-Japan and US-EU trade talks are now in progress, risk-on sentiment augmented government bond yields. JPMorgan and Wells Fargo are getting underway the Q1 earnings season, US is turning geopolitics from China to EU and Japan, US bond yields rose after US jobless claims hit its lowest since 1969. Brexit has been re-extended to 30 Oct, there will be no (no-deal) Brexit yet tomorrow, Fed and ECB are wary of downside risks, US bond yields dropped amid the Fed and ECB reports. IMF unsurprisingly lowered global growth forecast, EU-China relations have been strengthened, another Brextension is to be decided today, slower global growth have formerly been priced in bond yields. 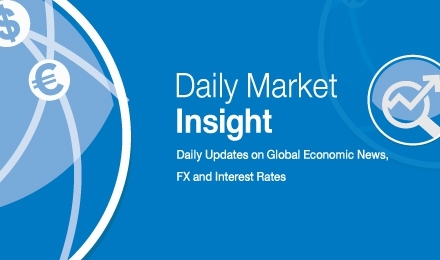 FOMC minutes, ECB meeting, EU-China summit, and progresses on US-China and Brexit were to be in focus; the dollar and the sterling were still on geopolitics; US bond yields rose after solid nonfarm payrolls, China’s high-yield bonds gained attraction. Germany and Italy downgraded growth forecasts, US treasury yields were lower awaiting US nonfarm payrolls.